In the past couple of Keeping the Baksheesh articles we have examined ways to cut back on spending. Now try this on for size…could you live with NO money? Not just a few bones or clams or what-have-you, but market zero? Most of us would answer and unqualified "no" to that. Though it’s not a situation you or I might self-apply, there are some people out there who do live with no baksheesh at all and things can turn out pretty good for them. However, it’s not usually by choice. 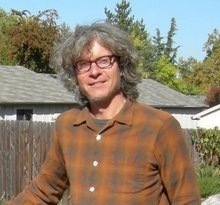 I recently came across a story about a man in Utah who has chosen to live without money. Dan Suelo lives in a cave for spiritual reasons and to avoid materialism. The link to the article is below. Like this dude Suelo, true Dudeists should also be wary of materialism. Did we ever see the Dude dropping bones and clams on flashy items? Now I grant that the Dude and Suelo have some HUGE differences but Suelo’s story is a great example of how we as Dudeists can live simpler and cheaper. I will say this much for myself, you won’t find me living in a cave, but if this guy can live on absolutely nothing then I’m sure I could spend less and still be happy. 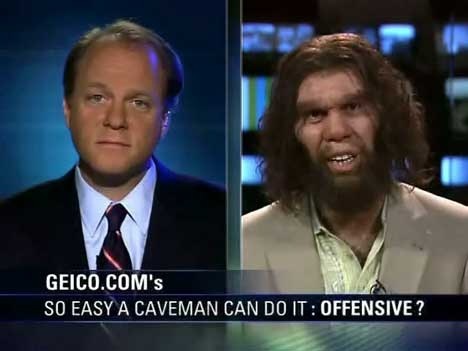 So with as much fanfare as I can muster from laying on the floor I give you the story of Dan Suelo: Modern day caveman and my nominee for Great Dudes of History. Enjoy! I have a friend who lives in a tent/set up, in the bush here on island. He moves camp now and then, to avoid any problems with the law…tho they only usually shuffle him along anyhow. He carves stone and sells pieces occasionally for a few bones, and manages to make a couple dollars here and there for food. He lives by the day. He picks berries, apples, etc. He drops by friends houses who are more than willing to feed him a meal or a beverage for his witty conversation. Now and then he comes into some money and spends it , not on anything fancy, just smokes, maybe a few beers, a meal in a restaurant, or some second hand clothes or supplies. He’s awesome. What’s interesting is that’s pretty much the way we all lived not all that long ago. It’s only been for the last tenth of a percent of human history that we’ve had it so cush. I don’t know why so many people disdain folks like your friend, Whiteheart, when they must be brave and capable to live like that. People should admire these kinds of folks more than they do. Money has been quite a recent invention; before it everything was bartered; you could exchange your work for food, or your food for clothes and so on. The problem with barter though is that you can’t tax it, nor you can make money from it. It is useful only for the people involved; not something very good for the present society. And of course you can’t exchange a fur for the last model cell phone. American Indians lived much in the same way and it seems that they were quite happy without money. But in those kinds of societies you are valued for who you are and for what you are able to do, not for your properties. And you can’t prosper from other people’s work or life. They had no goverment, no banks, no insurance companies and no supermarkets. But they had freedom. One thing I’ve learned in my 5+ decades; less is more. Having parents that lived through the great depression that had very little and were forced to scratch out a living, made sure their families had more than they needed. This situation made for a bunch of spoiled baby boomers that had it made, and still complained about how tough life was. “Clueless we were, young Dudewalker, hmm?” Now I realize the folly of trying to keep up with the overindulgence of the masses, and have figured out the more I have, the less joy is in my life. Dude Suelo, I salute you, and anoint you Dudeist Maximus. But, you won’t find me living in a cave, either, Rev Weber. Thanks for the enlightening article. Lots of food for thought here. I gotta say, man, that Whiteheart’s friend and Suelo sound like a couple of real cool Dudes. I myself have often wanted to drop out and go to the secluded family land and build a Dudastery. Maybe brew some beer, live of the land, make Dudeism artifacts to sell for bowling money…. Next Post: The Tao Dude Ching!